Opposition for the proposed Apple Store in Melbourne’s Federation Square is at an all-time high as Federation Square Management races to demolish the site ahead of a heritage hearing, while campaigners launch a $40 million campaign to buy back the site from Apple. Unveiled in late 2017, the proposal to build an Apple Store on the site of the Yarra building at Federation Square has been opposed on almost all fronts, with the City of Melbourne, local residents, community groups, architects and heritage specialists across the country expressing their outrage at the idea. With Federation Square pending a heritage listing to be decided in April 2019, Federation Square Management is racing to get the Yarra building demolished. In its 124-page Heritage Impact Statement, the company argues that it should be allowed to build an Apple store on the site because it is not a retail outlet, but instead a centre for “community engagement and education”. 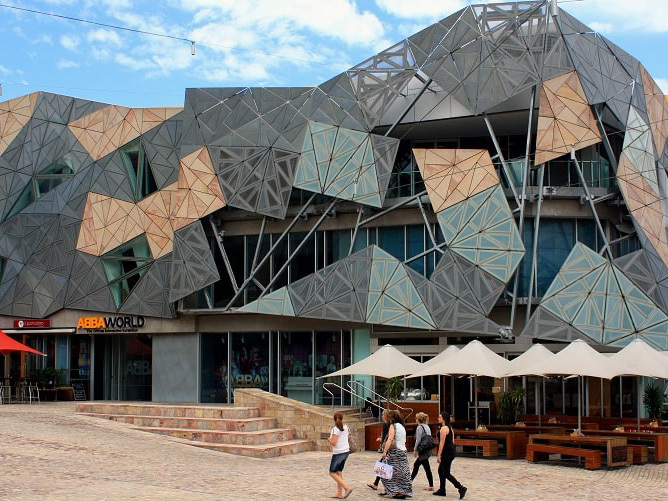 Federation Square Management has also argued that while there will be some negative heritage impact on Federation Square as a whole, “that loss will be acceptable” and there would be “considerable adverse economic impact” if the Apple store was not built on the site. Meanwhile, community group Our City, Our Square has launched a $40 million crowdfunding campaign to buy back the site from Apple. “Clearly at the moment the Victorian Government is prioritising Apple over its own citizens,” says spokesperson Brett de Hoedt. The group is also urging residents to make submissions to Heritage Victoria. At present, over 2,000 submissions have been made, most of which oppose the proposal.